Wandering Words is a literary project featuring writing created in response to the landscape, architecture, communities and heritage of Swale and Medway. Conversations with people across Swale & Medway confirmed a love of reading and writing, and it’s for this reason that Ideas Test developed this lovely literary project in partnership with ourselves. Wandering Words is an Ideas Test project, working with Rochester Literature Festival, to celebrate writing – in all of its forms – created in and about Swale & Medway in North Kent. We want to encourage people to put pen to paper or fingers to keyboards to write, share and explore written works of all kinds – including prose, poetry, journalism, blogging, graphic novels and spoken word. A newly commissioned Wandering Words website will act as a focal point for the project, providing an online platform for writers of all kinds to share their work. Several writers have been commissioned with the aim of creating a place where people can easily find stories about Swale & Medway and be inspired to write their own, creating a digital library of written reflections of the area. Rachael Hale – Overarching historical research/ Heritage exploration of both Swale and Medway. Project Manager is the experienced Mark C. Hewitt, a live literature producer and writer who has been programming the Wigmore Lectures successfully since 1998. Read more about him here. 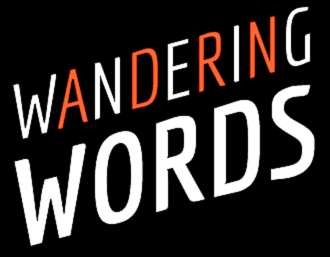 The Wandering Words project informs this year’s festival, which is themed: Wandering Words: Live’n’local.